Welcome to Third Earth – second home to the ThunderCats – following the destruction of their home planet Thundera. 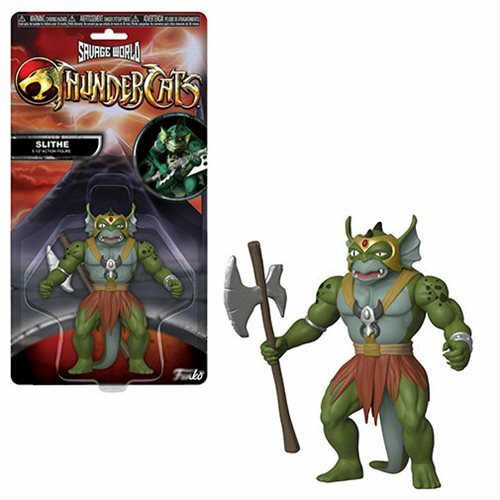 This ThunderCats Slithe Savage World Action Figure measures approximately 5-inches tall. Comes packaged on a blister card.